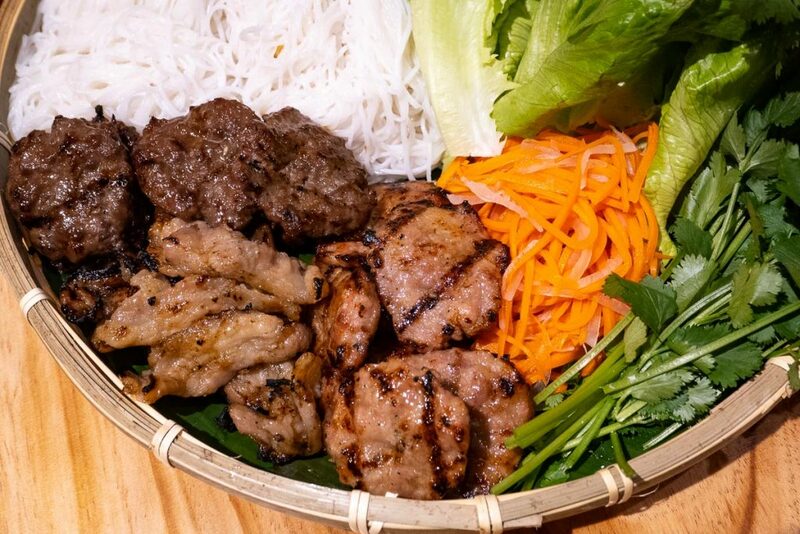 Bun Cha Cha is not your typical Vietnamese restaurant. 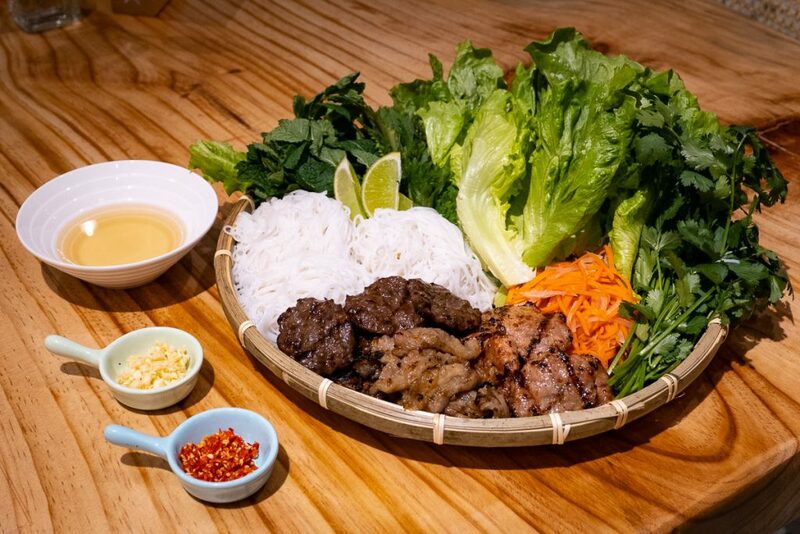 It trades in bun cha, a popular northern Vietnamese street food of grilled meat served with bún aka rice vermicelli, a thread-like, stickier version of rice noodle, and fish sauce with condiments to dip. 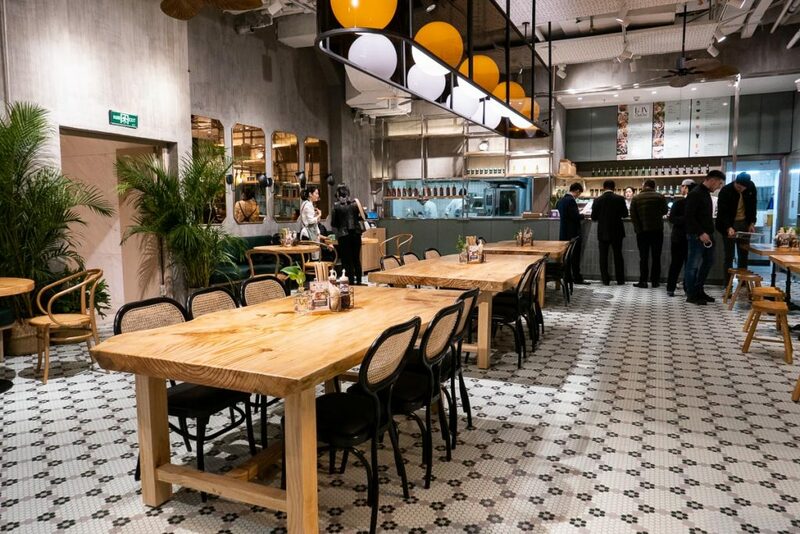 There are plenty of Vietnamese restaurants in Shanghai. Apart from serving pho and, well, not much else, those restaurants blend into a hazy swirl of bad pho puns. 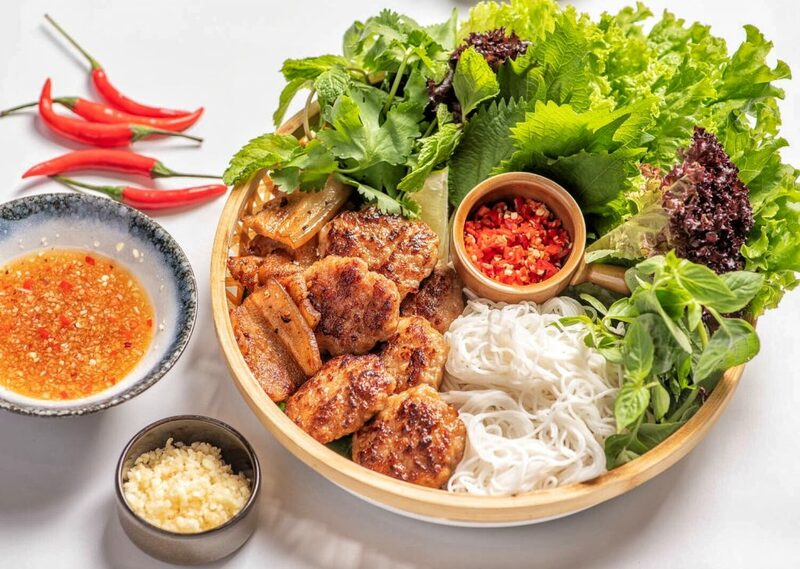 Bun Cha Cha’s specialization in this lesser known Vietnamese food is a breath of fresh air, one that’s perfumed with the scent of fish sauce. 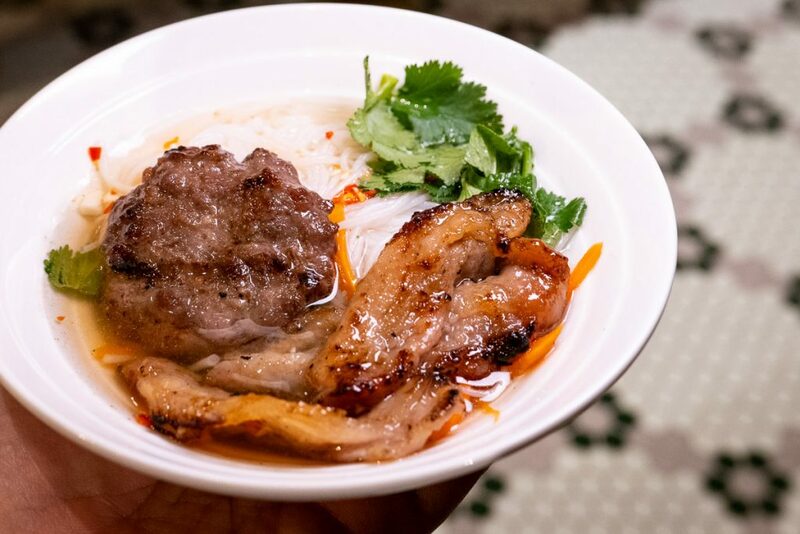 The bún aka rice vermicelli is a thread-like, stickier version of rice noodle. Deceivingly wispy, these bundled up strands are springy, taut, and slippery—perfect for some serious slurping action. 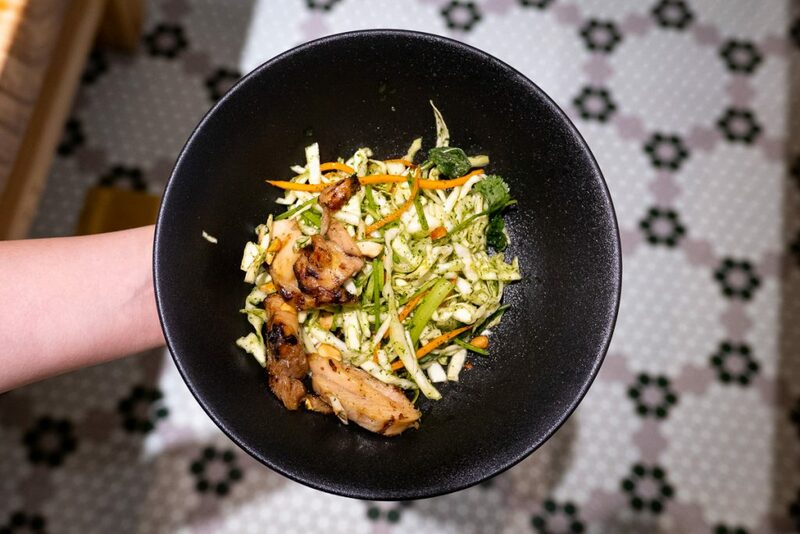 These noodles, grilled meats of plump beef meatballs, sticky charred pork belly with pork meatballs, or tender chicken thighs, greens, and pickled vegetables is what you’ll get in the bún section of their menu. Each person gets their own bowl of diluted fish sauce and condiments of finely diced spicier-than-usual bird’s eye chili and raw garlic. It’s all makes for a very satisfying meal. 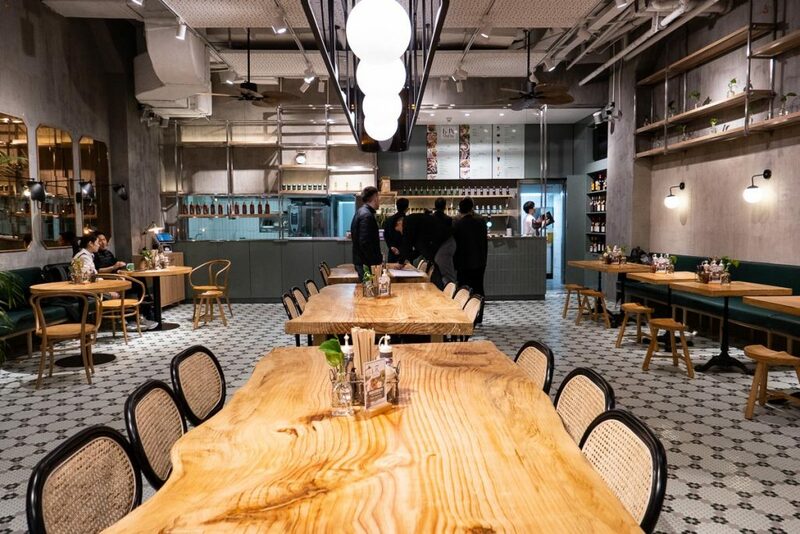 Pricing for single portions: Bun Cha (¥58) pork meatballs, Bun Bo (¥68) beef meatballs, and Bun Ga (¥58) chicken. It’s more than affordable. What else is being served? A lot. 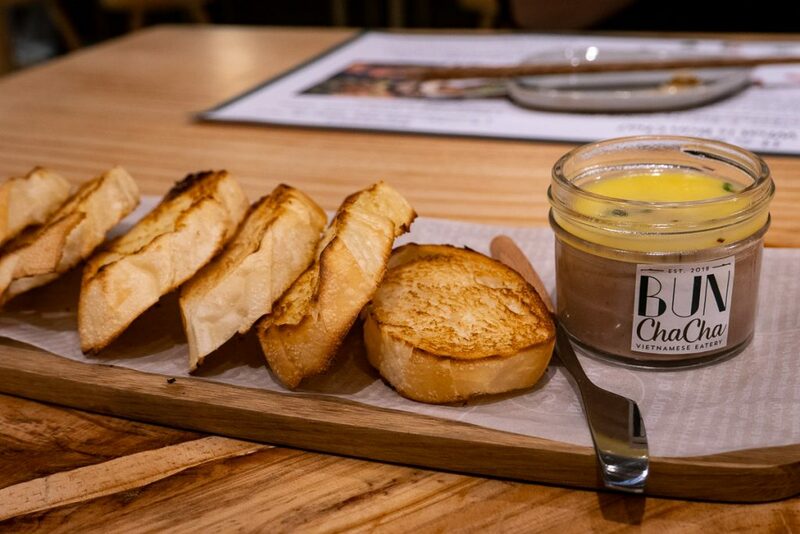 Appetizers see a Pate Gan Ga (¥38), chicken liver pate served with buttered baguette slices and pickles. 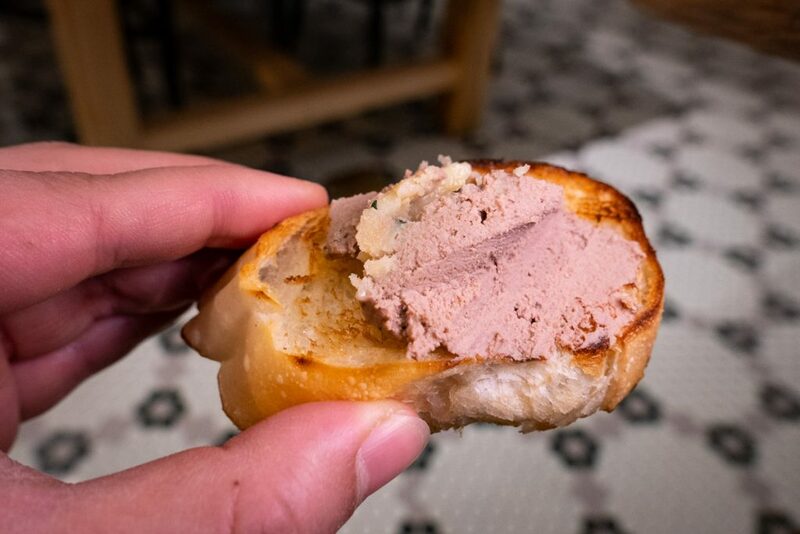 The velvety spread on bread is more than just a filler dish. There are two salads. 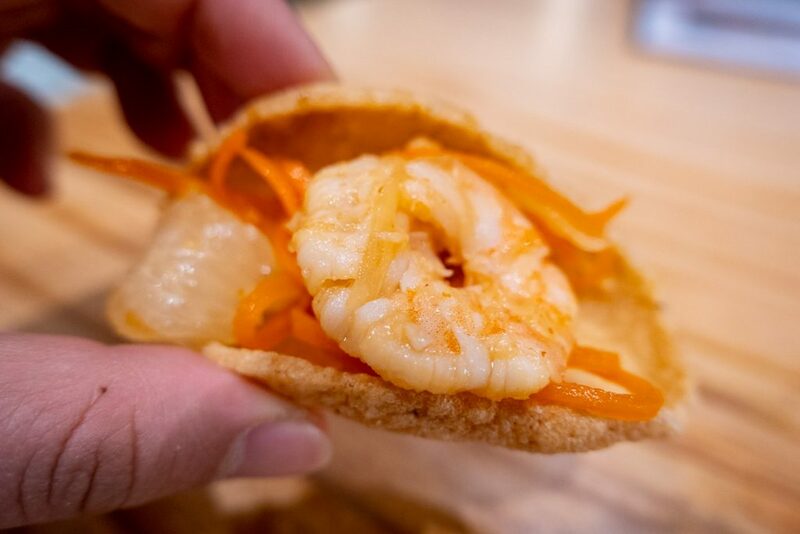 Pomelo Salad (¥45) with shrimp, pork, shallots, lime juice, and crispy prawn crackers is not a dish to be trifled with. It’s enforced with potent fish sauce and is not for the fainthearted. I, for one, will have seconds. 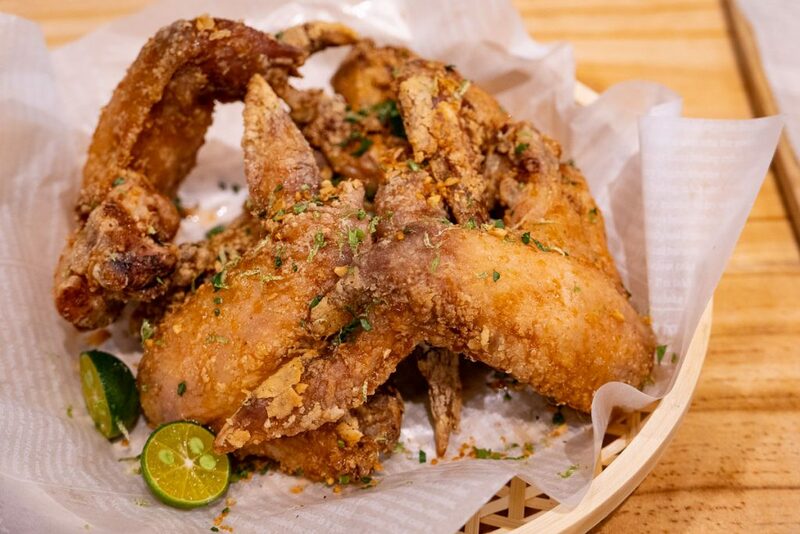 The Fried Fish Sauce Chicken Wings (¥38) are more finger lickin’ good than all the wings you’ve ever had. They’re large wings that are battered and fried to a crispy golden, succulent and sticky from the fish sauce marinade. 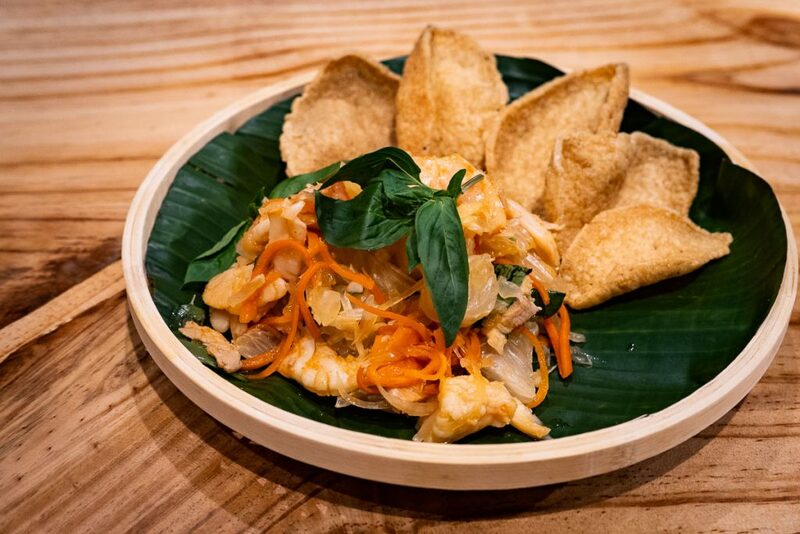 A serving of four comes with additional fish sauce to dip. 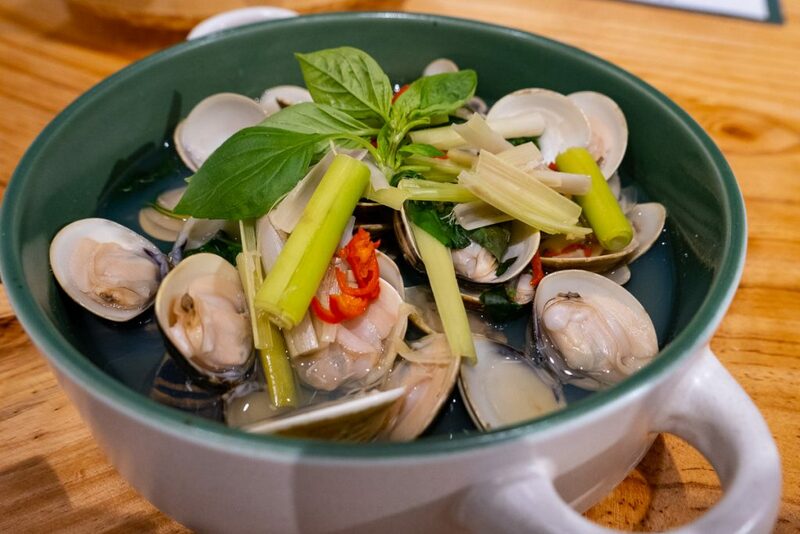 A bowl of Steamed Clams (¥48) with lemongrass and bird’s eye chilies is suited for a sit down meal. It’s a simple dish, highlighting the fresh seafood in a lip-tingling clear broth. 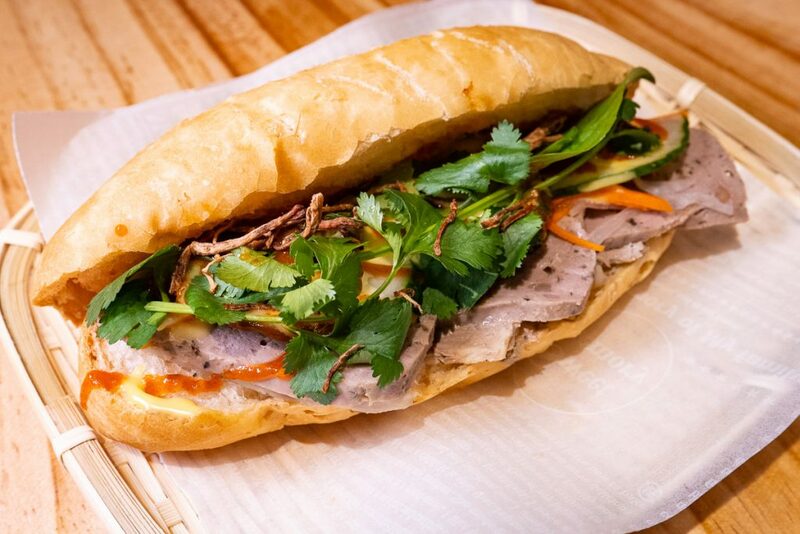 Bahn Mi Sai Gon (¥68) with ham chicken liver pate, sausage, meat floss and pickles. And while they do serve pho (because customers would riot if a Vietnamese restaurant did not have it), their signature is most definitely the bun cha. A Classic Vietnamese Beef Pho is ¥58, for reference. 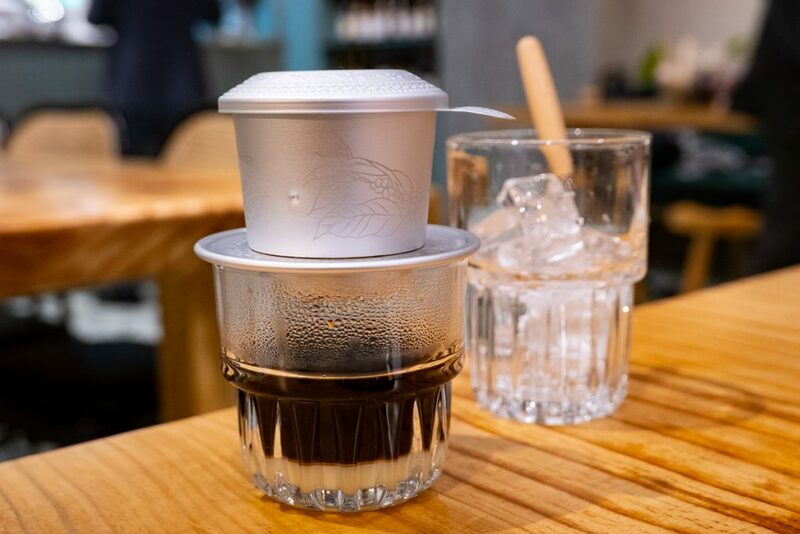 For drinks, get the Vietnamese Drip Coffee (¥35). It’s a slow drip coffee that empties out onto thick, creamy, sweet condensed milk. There’s espresso and Americano if you’re not keen on sweetened coffee. Teas, soft drinks, beer, and wine also available. Who’s behind Bun Cha Cha? 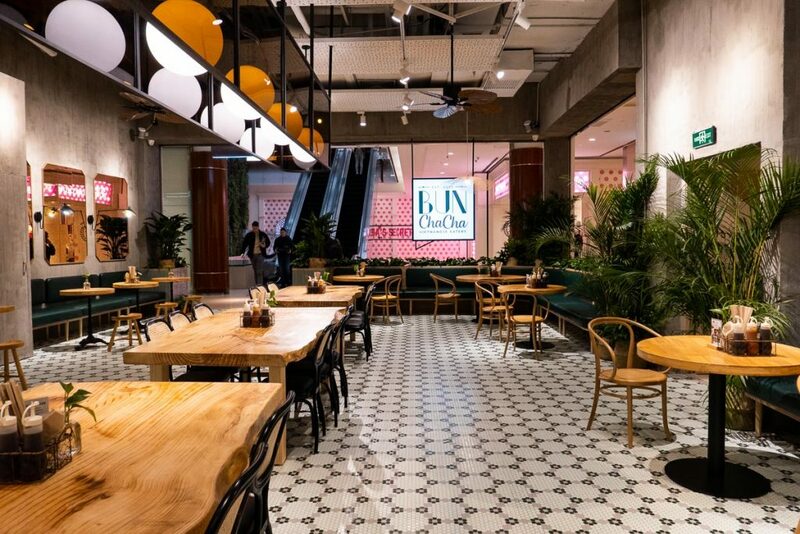 Danyi Gao, the co-founder and head chef at Shake, is to thank for Bun Cha Cha. 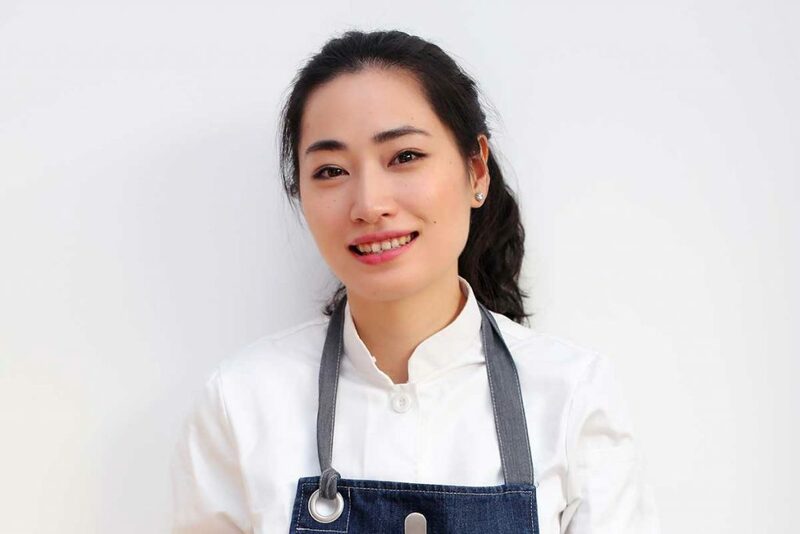 Notably, she placed first in the 2017 season of Chef Nic, an extremely popular Chinese cooking show, was the guest chef and documentary host for “Quebec City” for the Canadian Ministry of Tourism, and has won numerous awards from city magazines for her work at Shake. All of this from being a self-taught chef. I left feeling satiated and continued to burp fish sauce and raw garlic all day. To summarize: pretty successful. It may be located in the basement of a mall, but trust me, it’s worth the trip. Who’s going? Mallrats, nearby office workers, and people craving unadulterated Vietnamese food. That said, delivery is coming soon. Hot or cold, in restaurant or from a waimai box, it’s still enjoyable. 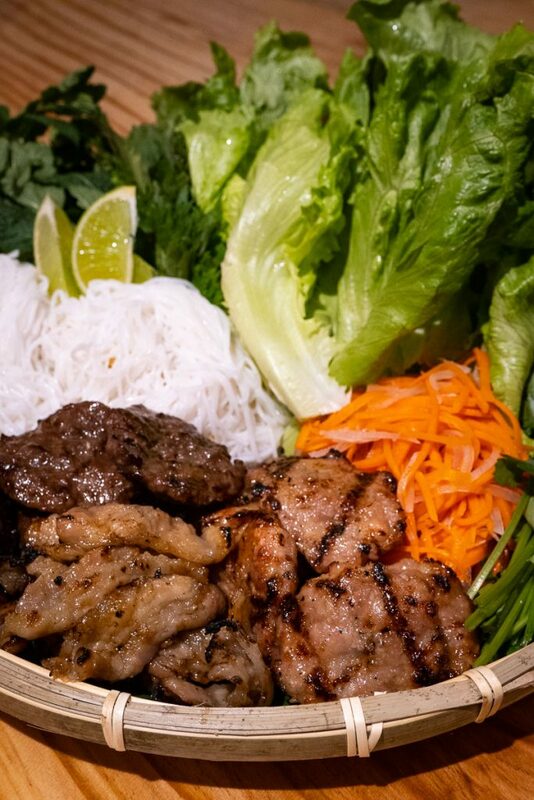 Soft Opening Deal: Free cup of Vietnamese coffee with any order of “bun” dishes, until March 28. Grand opening March 29. 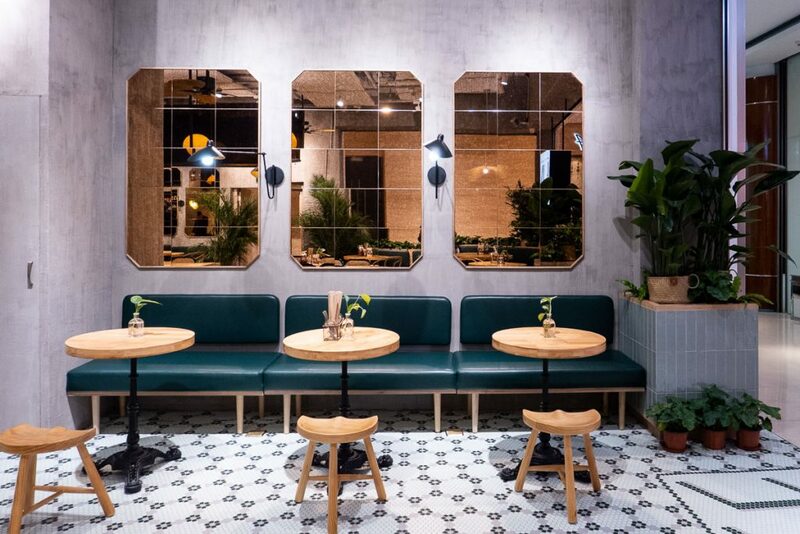 Singapore’s PS.Café Opens in Shanghai. What’s It Like?